The Camaro5 Fest IV is coming to Hendricks County this weekend, but Lucas Oil Raceway is an equal opportunity car show host site, so a week after the Chevrolets are in town, Ford Mustangs roar into Brownsburg, Indiana from August 9-11 for the Mustang Club of America National Show, presented by the Mustang Club of Indianapolis. The 34th Annual "Race to Indy" Mustang & All Ford Car Show & Swap Meet begins at 6 p.m., Aug. 9 at the Dallara Indy Car factory in Speedway for a welcome bash that features a cookout, a tour of the Dallara facility, and a cruise-in, followed by a Pony Tour to the host hotel. 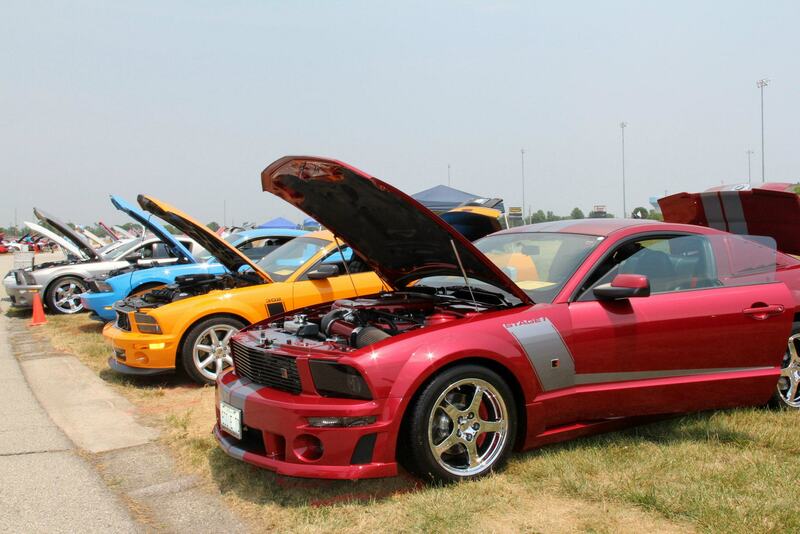 Then on Saturday, Aug. 10, the gates at Lucas Oil Raceway open at 7 a.m. and the show begins with hundreds of Mustangs and other Fords on display, entertainment, door prizes, 50/50 raffles, a silent auction, vendors and more. Car owners can take their Fords around the track, and there will be judging in a wide variety of categories for all the vehicles entered in the show. 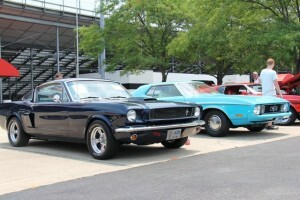 The Mustang Club of Indianapolis has created a new class for judging at this show -- the FSI class. FSI stands for Ford Special Interest and is a judging class for Fords that are not Mustangs and for car owners who are not members of the Mustang Club of America. Ford owners can enter their cars in this class up to and including the day of the show for $30 and get a taste of the fun of being a club member. Neil Clapp from Ford Racing will also be at the show, giving a presentation at the banquet on Saturday night about the history of Ford Racing and what the company is doing now to improve its product. 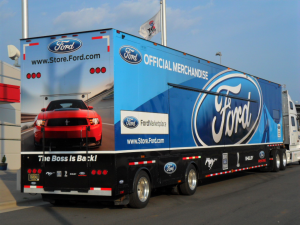 He&apos;ll be bringing one of Ford&apos;s marketing vehicles loaded with Ford Racing parts for attendees to look at, and he&apos;ll have Ford goodies to give away at the banquet. 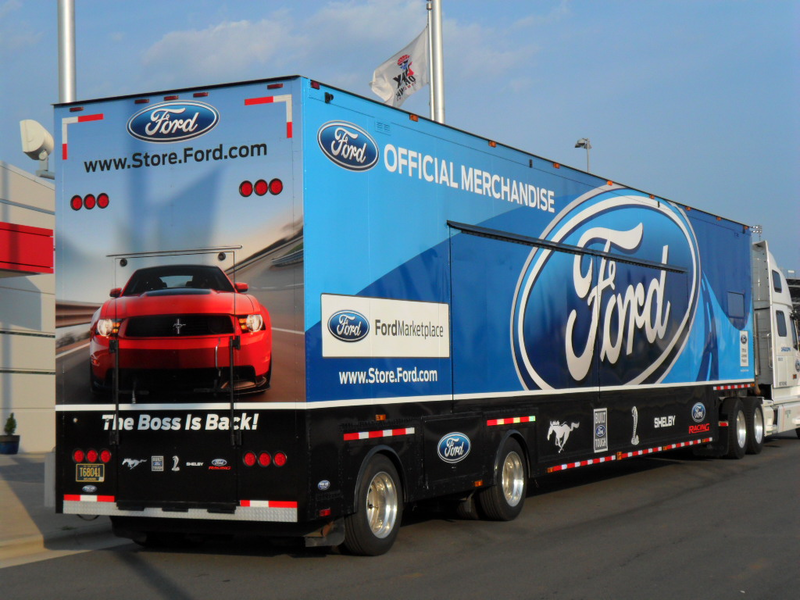 The Ford merchandise trailer will be there, too, allowing enthusiasts to stock up on Ford merchandise. So come on out to Lucas Oil Raceway for some family fun and to check out a whole bunch of Fords. In fact, if you&apos;re a car enthusiast, you&apos;ll love the next couple of weeks in Hendricks County with First Friday Cruise-In tonight in Danville, the Camaro5 Fest this weekend, and the Race to Indy show next weekend. Hendricks County is the place to be!